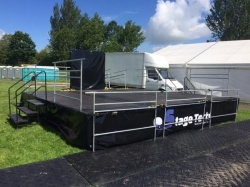 WE NOW HAVE A 6M X 6M DISABLED VIEWING PLATFORM THAT PROVED TO BE A GREAT SUCCESS AT THE RECENT "BOYZONE"CONCERT IN TELFORD TOWN PARK. 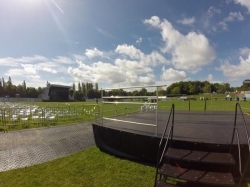 THE PLATFORM IS ACCESS BY TWO STAIR CASES AND A RAMP THAT CAN BE FROM 4M TO 6M LONG AND FITTED WITH SAFETY HAND RAILS. FOR MORE INFORMATION PLEASE GIVE ONE OF THE TEAM A CALL.